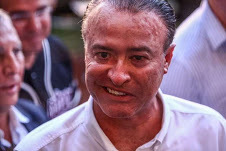 Now the Narco War has chosen one more “Pueblo Magico”. If these towns won that distinction for their beauty and history, they have lost it under the yoke of criminality and government complicity. Thus are El Fuerte, El Rosario and Mocorito. They are set in the quagmire of corruption and violence. Their beauty has vanished between the looting of their resources by the governments – both the PRI and the Panistas – and the violence that strikes them. 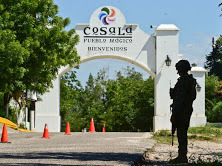 Of the “Pueblos Magicos” of Sinaloa, only Cosala is saved for now. The rest are becoming hellish where life has been kidnapped by criminal gangs. 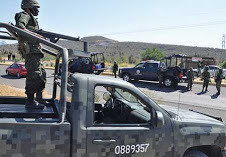 Mocorito is now the scene of the most bloody clashes between Sinaloa Cartel cells that apparently do not have a common leader. 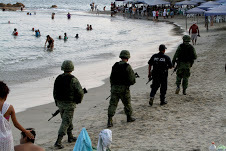 Two months ago we published a report on how and why the “Pueblos Magicos” of Sinaloa had become small, uninhabitable jungles, eaten away by the indolence of their governments and organized crime. And just last week, two women were killed in the crossfire of a shooting carried out by rival drug trafficking gangs in the municipal seat of Mocorito. The total tally of the fray, including the two women, was eight dead and a dozen injured, some attended clinics and others are in hiding. The government has conventional armed forces, but 90 percent of its potential – including men, equipment and weapons – can not be used because they are not designed for guerilla style warfare in which the criminals wear bulletproof vests. 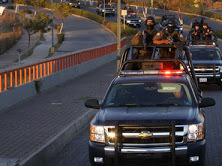 In addition, El Narco’s warriors fight guerilla style: they strike and they go away. They live in hiding. As in every war, they win and lose battles; but, in the end, they have been growing in every way: in men, in arms, in money, in logistics and infrastructure, in bases of support, in cultural penetration. June 10, 2017 in NARCO-POLITICS: Black Budgets & Black Ops.